For the 2018/2019 school year, we will be introducing the Tri-Cities Participation Plan to coincide with Fair Share Tuition. For more information, locate the tab: Tri-Cities Prep Participation Plan under Application. In the meantime, see below volunteer opportunities. In an effort to make better use of all the gifts and talents possessed by our families who attend Prep, we are asking each family to volunteer their time, talent and treasure. Below are volunteer categories and examples of activities that will benefit from your help. Volunteering with Campus Ministry includes helping with retreats, Pro Vita Week, Catholic Schools Week, Seder Meal and the Baccalaureate reception. Volunteering with Athletics involves helping out with the various sporting events throughout the year. This includes taking tickets, operating the scoreboard, clock operator and shot clock. Volunteering with Hospitality involves helping out with special events for the Tri-Cities Prep family. This includes helping with the Ice Cream Social, and Tri-Cities Prep Informational Nights. Interested in learning more about Parent Club? Call or text Lisa Richards at 509-539-4704. Volunteering with Buildings and Grounds focuses on those projects that help maintain the interior and exterior of Tri-Cities Prep. Planting trees, painting walls, and Ray Day are examples of volunteer opportunities. Interested in becoming part of the Building and Grounds team? Email: buildingandgrounds@tcprep.org to see how you can get involved. Volunteering with Student Life includes activities such as chaperoning dances, becoming a class parent advisor or helping with your child’s class activities, and helping serve as a field trip chaperone. 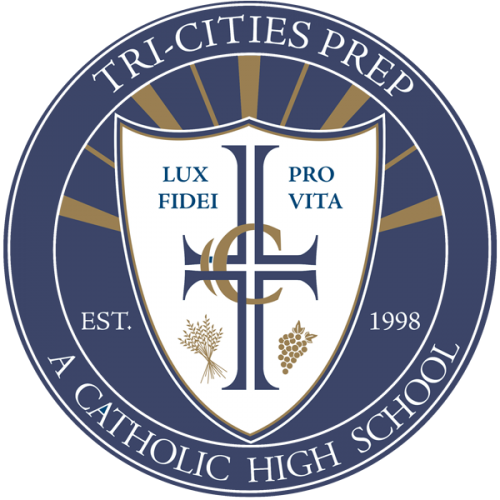 Volunteering with Teacher Appreciation involves those activities that help demonstrate our appreciation to the faculty and staff at Tri-Cities Prep. Volunteering with Office support involves activities that revolve around clerical work and assisting the front office. Volunteering with Performing Arts involves those activities that provide support for our Performing Arts Program. Examples include providing desserts for intermission, meals during Tech Week and taking tickets. Volunteering with Development involves helping out with our annual dinner and auction.